Can the CTA and Metra play nice? Benefits of increased cooperation could include fare integration and an alternative to the costly Red Line expansion. On January 26, when Mayor Rahm Emanuel and the CTA unveiled the route for the $2.3 billion extension of the Red Line from 95th Street to 130th Street, the big question was where the heck the CTA would get the money from. City officials said they planned to apply for more than $1 billion in federal grants for the project. Trouble is, White House infrastructure adviser DJ Gribbin says that Donald Trump's forthcoming $200 billion infrastructure bill won't include any new revenue and will cut existing transportation funding—specifically, Amtrak and public transit. For decades transit experts and advocates have pushed for a much cheaper, quicker solution to bring rapid transit to the far south side. The Metra Electric District route, aka the Electric Line, runs more or less parallel to the Red Line and makes eight stops within Roseland, Pullman, and other neighborhoods that would be served by the four extension stations, which are planned near 103rd, 111th, Michigan at 115th, and 130th Streets. Currently the Electric Line runs sporadically during nonrush periods. Running it more frequently, offering, say, 24-hour service at 15-minute intervals, and integrating its fare system with the CTA could likely be done at a fraction of the cost of the extension. It could also be done a lot more quickly. The proposed project involves acquiring about 150 properties and building elevated tracks and stations. According to the CTA, it won't be fully operational until 2026 at the earliest, and work won't begin until 2022. The Electric Line conversion, which would only require retrofitting existing infrastructure, could almost certainly be completed sooner. It's too bad the CTA and Metra don't play well together. It's not just that the CTA primarily serves the city, Metra the suburbs. Like the RTA and Pace, each of these transit agencies has its own board of directors—Emanuel appoints the majority of CTA board members, while most of the Metra directors are chosen by politicians from Republican-controlled suburban county boards. On top of that, the CTA and Metra compete with each other for funding and ridership. The agencies insist that they get along just fine. "We see a cooperative relationship," said spokeswoman Susan Massel of the overseeing Regional Transit Authority, noting that the CTA, Metra, and Pace collaborated on the regional transit strategic plan the RTA approved in January. It calls for $30 billion in funding for transit infrastructure projects in the region, and Massel says all four agencies have committed to lobbying together for a steady annual revenue stream of $2 to $3 billion for capital investments. But transit advocates argue that this cooperation is the exception that proves the rule. "There are well-documented and systemic governance and financing problems that make the lack of cooperation between transit agencies predictable," said Active Transportation Alliance executive director Ron Burke. 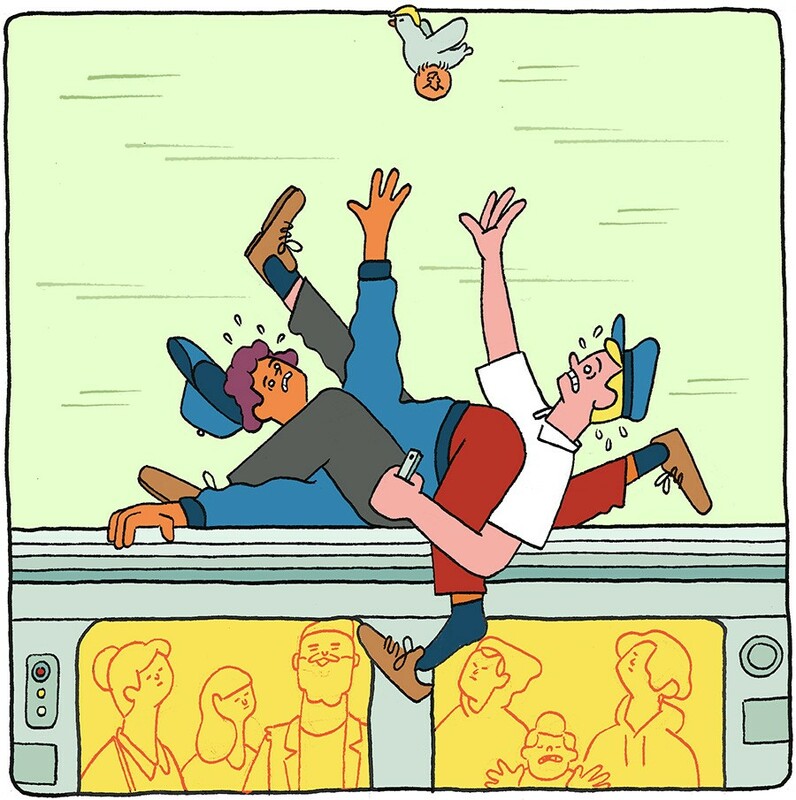 "From the slow journey to a universal fare card, to funding decisions not tied to a strategic transit vision for the region, to the inability to convert the Metra Electric into a CTA-style service in Chicago, these shortcomings are a function of systemic problems." Center for Neighborhood Technology executive director Scott Bernstein noted that the CTA and Metra still vie with each other for infrastructure grants from the Federal Transit Administration. "They don't lobby together and they don't put in joint applications, so in what way could you say that they aren't competing in that regard?" Bernstein said he'd also like to see the RTA, the CTA, and Metra, which each have separate programs for promoting transit-oriented development, work together on this front, something that could not only save money but potentially attract more private-sector investments. CTA spokeswoman Catherine Hosinski and Metra spokesman Michael Gillis point to the new Loop Link bus rapid transit corridor and the new Union Station Transit Center, which make it easier to transfer from Metra trains to CTA buses, as one example of the agencies' cooperation. And they maintain that the region already has an integrated fare payment system of sorts—the Ventra smartphone app lets CTA and Metra riders add value to their cards and permits Metra passengers to purchase tickets onboard without a surcharge. Metropolitan Planning Council director Audrey Wennink noted that in some parts of the region the CTA and Metra vie for a larger cut of local sales tax revenue. Of course, they also compete for revenue from customers, and Wennink said it's understandable the agencies are dragging their feet about really integrating fares as opposed to merely sharing the Ventra app. "If a rider who transfers from Metra to CTA only has to pay a small transfer fee and not the full CTA fare, as is the case now, who absorbs that loss in revenue?" she asked. One thing the agencies and the advocates can agree on is that much of the competition between the CTA and Metra is due to a factor beyond the agencies' control: there isn't sufficient investment in transit. "The funding pie needs to be bigger so we are both adequately funded," Gillis said. Instead, Illinois's budget deal last summer included cuts to state funding for the CTA, Metra, and Pace. As a result, all three systems raised fares this year. Metra also reduced service on some lines, including the Electric Line's Blue Island and South Chicago branches. Wennink offered a few suggestions for increasing transit funding, including boosting the state gasoline tax—which has been stuck at 19 cents since 1990—and possibly switching to a distance-based driving tax in the future, so that revenue doesn’t decrease as more people switch from conventional cars to hybrid electric vehicles. John Greenfield edits the transportation news website Streetsblog Chicago. With a Democrat in the governor's office, Metra expects to finally get an influx of cash—but will it be enough to make up for the years-long backlog? Would far-south-siders be willing to swap the long-awaited Red Line extension for a cheaper, quicker solution? Residents of Roseland, Pullman, and other neighborhoods south of 95th weigh in on the Electric Line conversion. The CTA is crowded and slow. The Reader can fix it! If only the Straight Dope were running the city! The city should beef up transit instead of widening roads and eating up parkland. Local leaders urge transit riders to mobilize against the draconian cuts. The CTA’s Red and Purple Modernization Project is a rare chance to rethink Chicago’s rail system. Here’s what we should do. The CTA got $593 million to extend the Red Line south of 95th Street. Now what's the holdup? Where do Lori and Toni part ways on transportation issues? And are we at risk of having a motorhead as mayor? Chicago would rather solve a phony problem than deal with a real one like the lack of affordable housing. The paper has provided a home to a long list of truth tellers. Anyone who regularly takes the el or subway has seen them at stations from O'Hare to 95th Street, Fullerton to Kedzie.